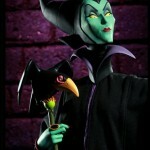 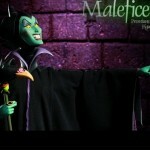 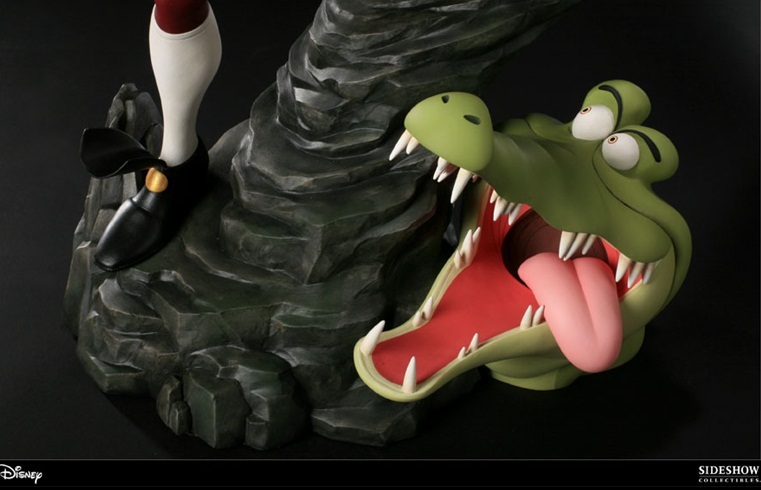 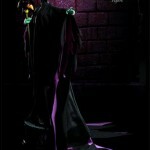 Sideshow Collectibles celebrates some Walt Disney animated classic villainy from Sleeping Beauty and Peter Pan. 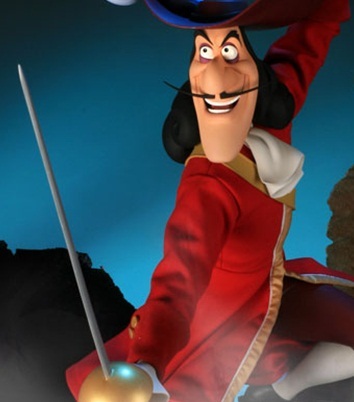 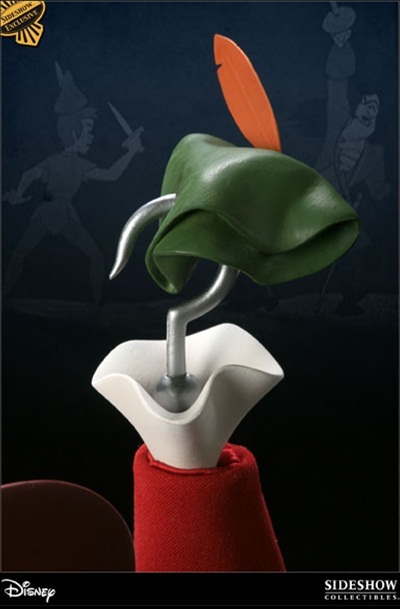 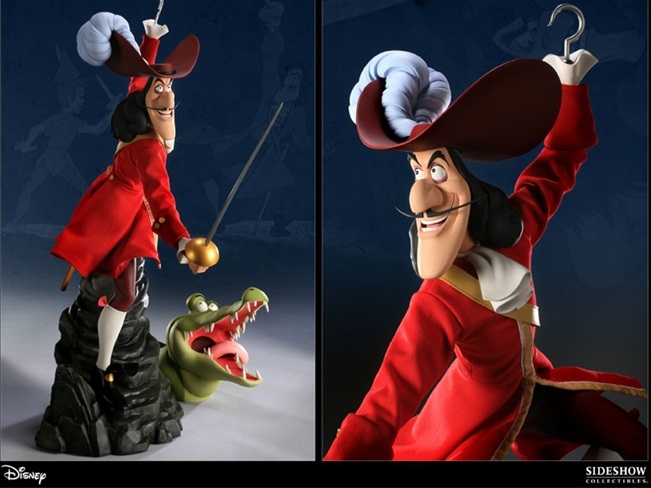 The Sideshow Collectibles Captain Hook Premium Format Figure recalls the magic of Peter Pan by presenting this swashbuckling villain from Never Land. 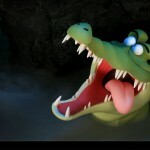 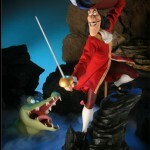 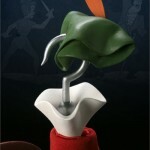 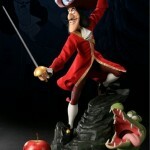 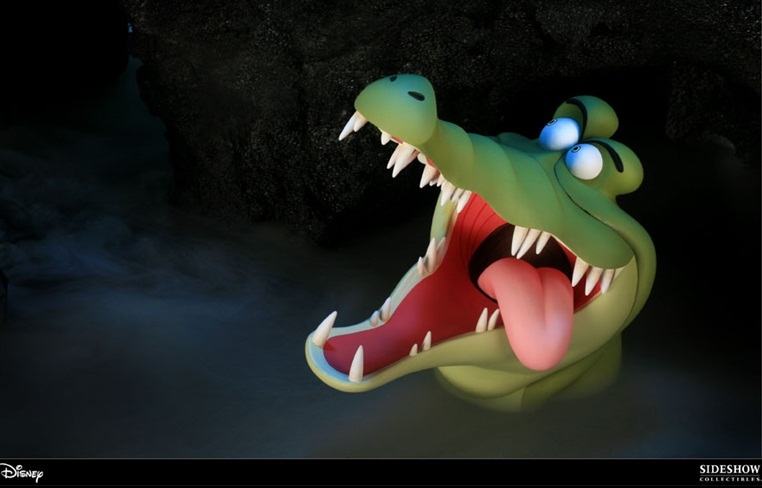 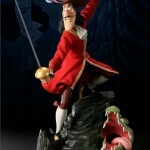 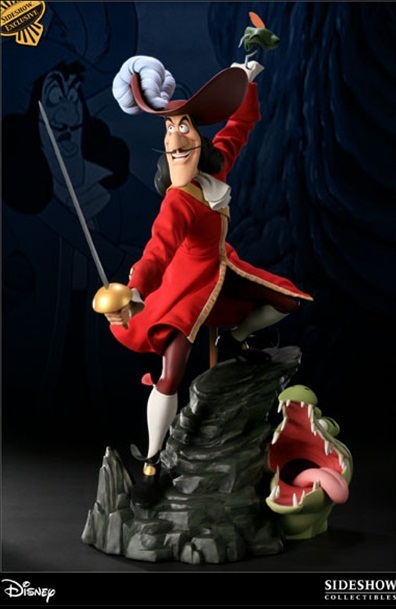 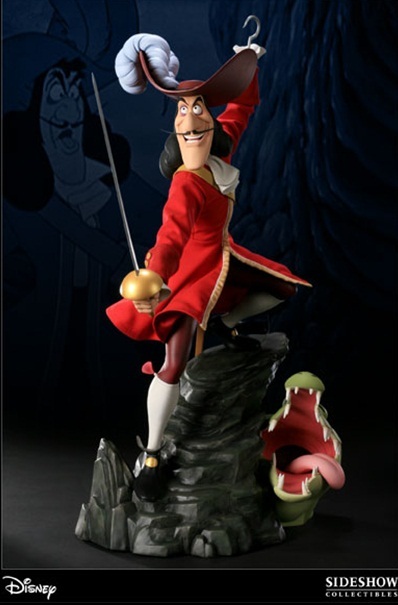 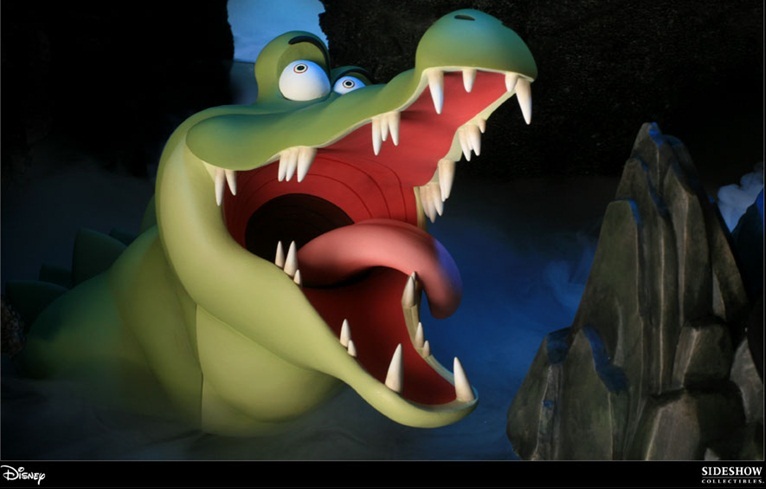 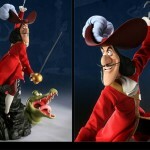 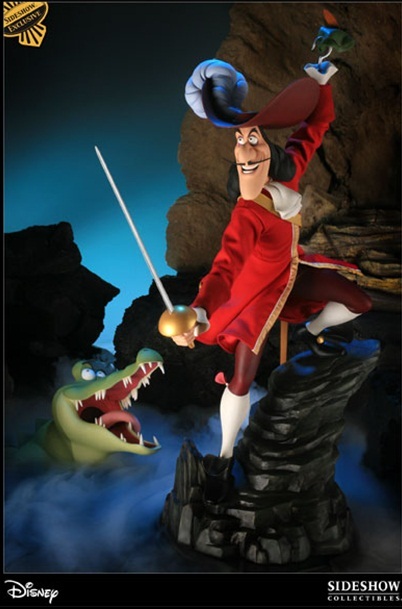 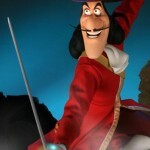 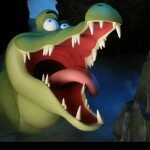 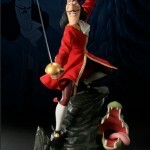 Captain Hook comes complete with crocodile, and the exclusive version includes a switch-out hook with Peter Pan’s hat. 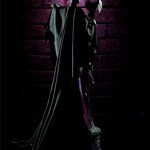 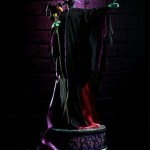 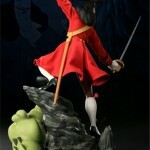 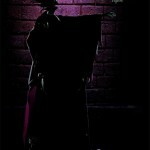 This limited edition figure is up for pre-order, and is expected to ship in the third quarter of 2011. 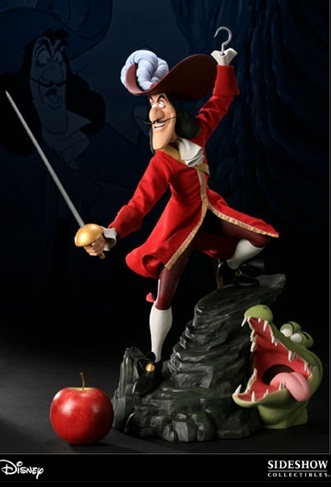 Captain Hook has a run of 350 pieces. 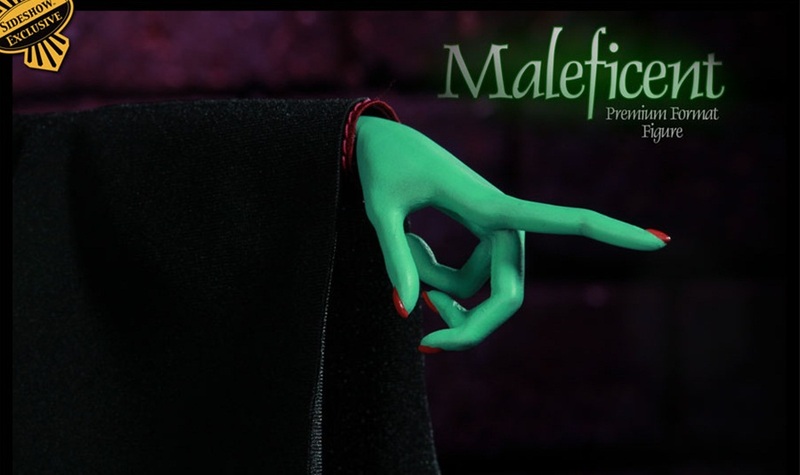 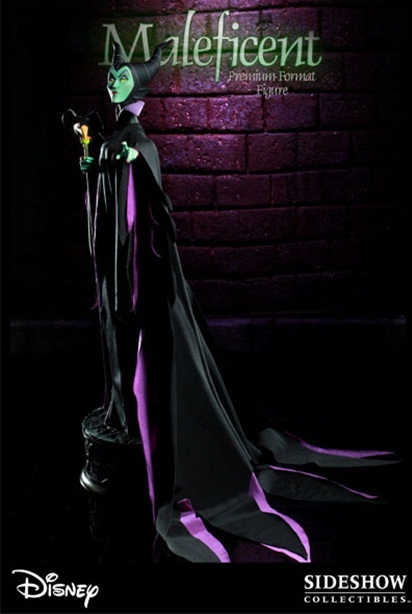 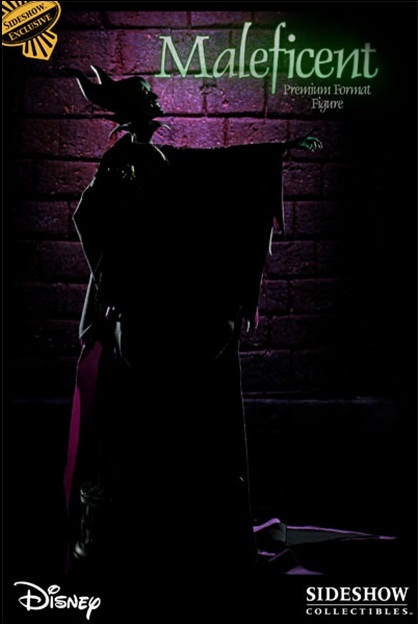 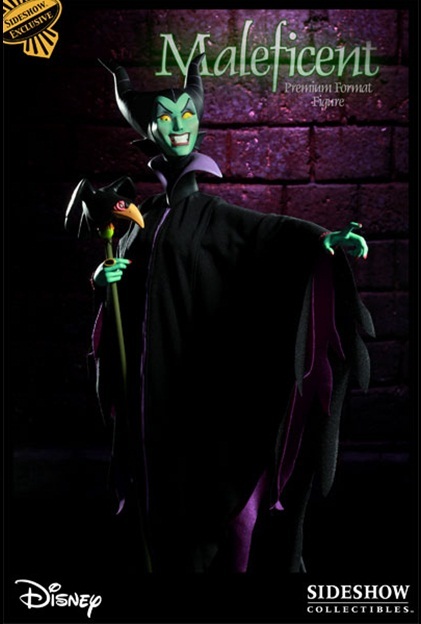 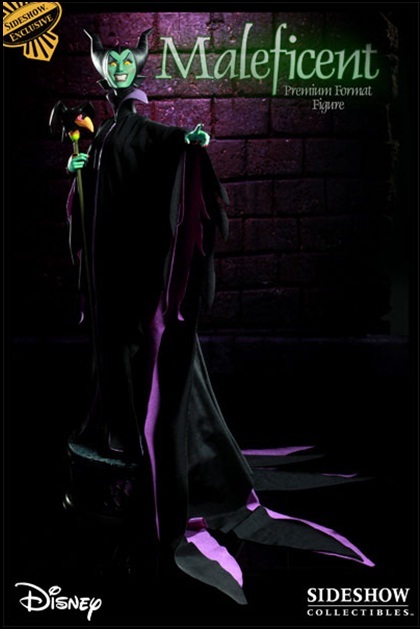 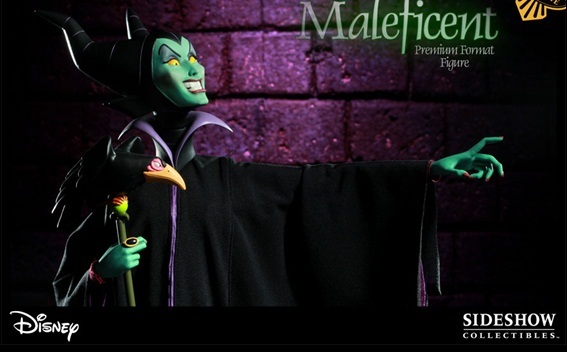 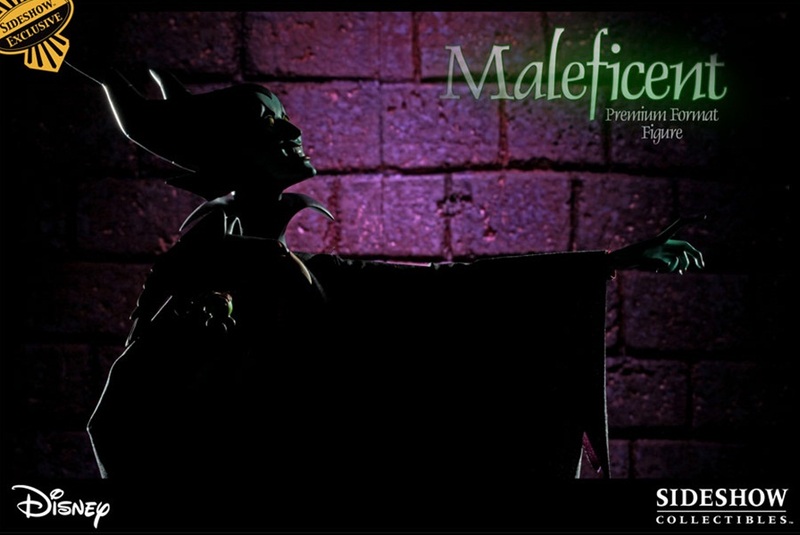 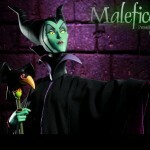 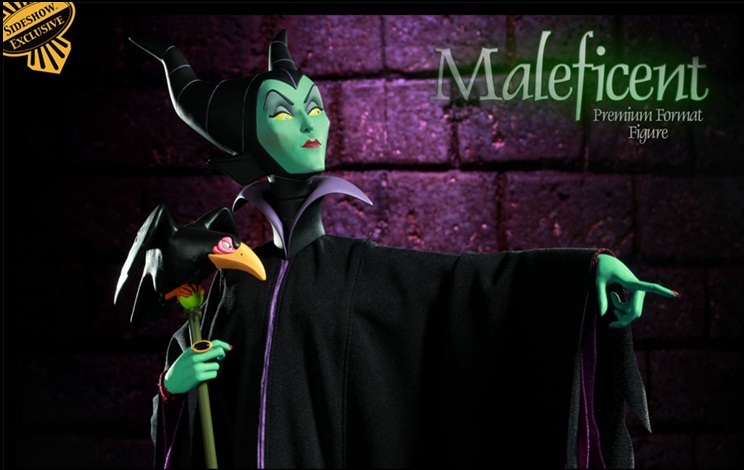 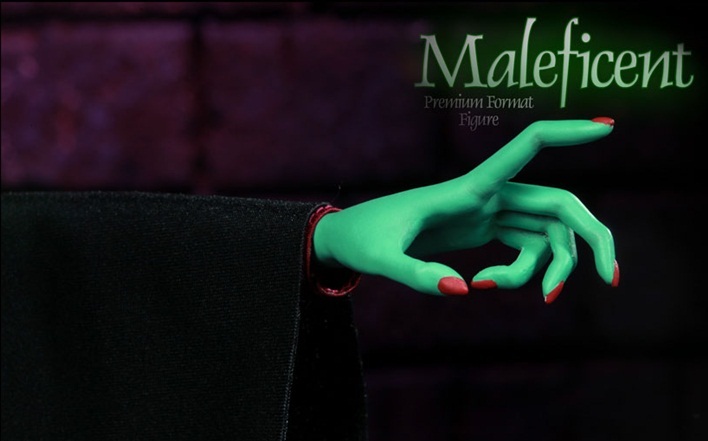 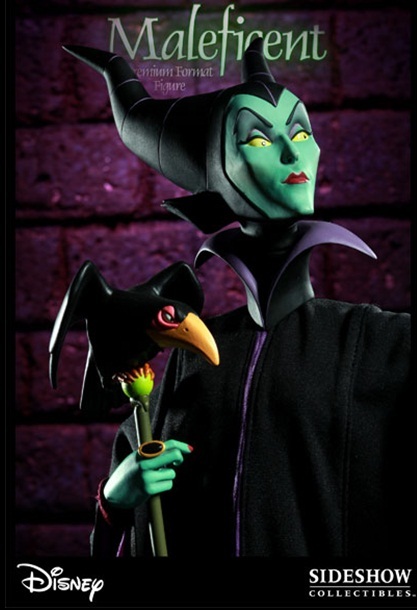 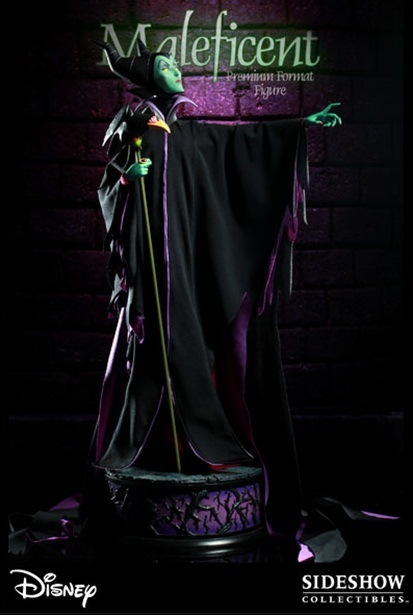 Each Maleficent Premium Format Figure is individually painted and finished, dressed in a detailed real fabric costume with its own unique quality and detail that is a trademark of handcrafted Sideshow Collectibles product. 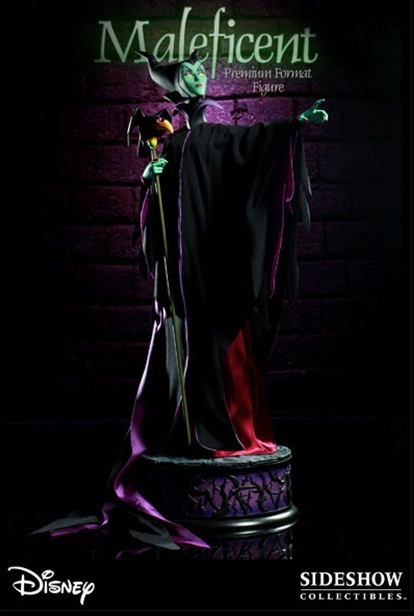 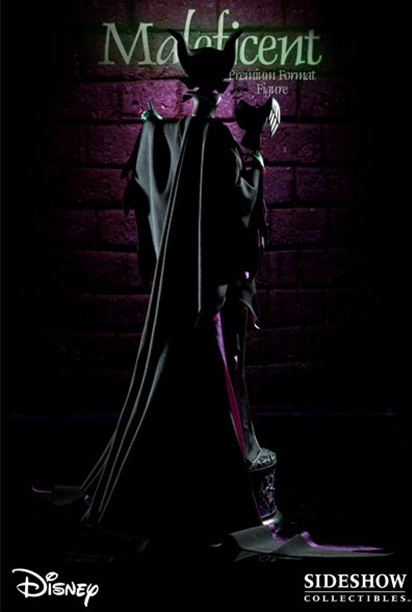 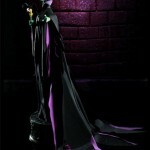 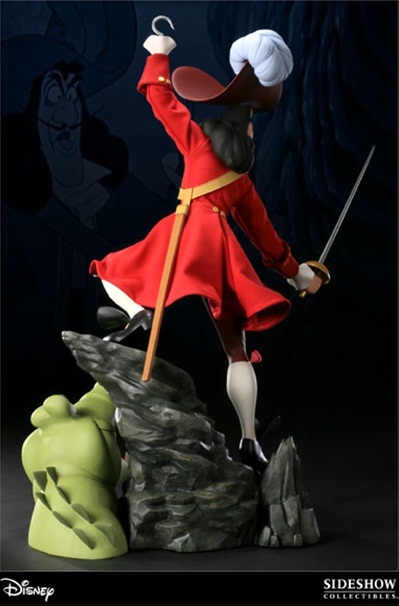 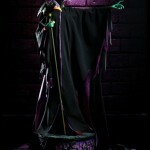 The figure also has an intricate base design that is inspired by the final battle scene in the film Sleeping Beauty. 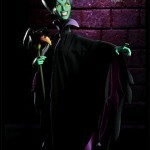 The Sideshow exclusive version also has a switch-out head and switch-out conjuring hand. 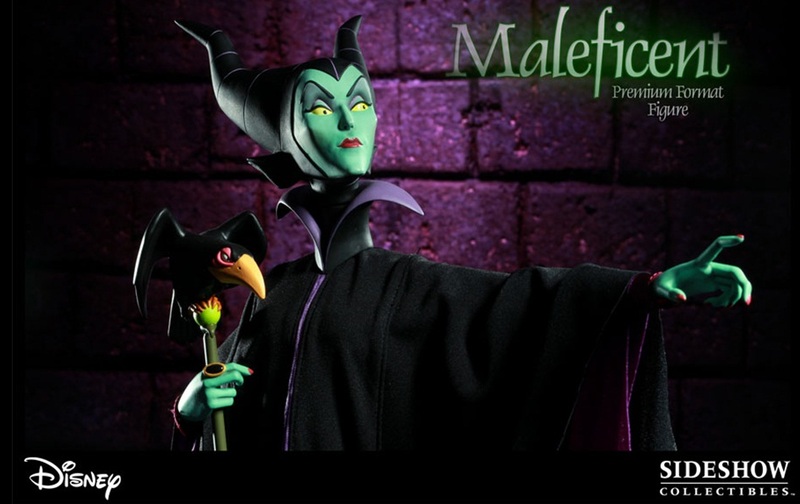 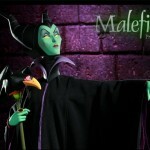 Maleficent is limited to 350 pieces.